Our goal is to connect people with the best local experts. We scored wedding photographers on more than 25 variables across five categories, and analysed the results to give you a hand-picked list of the best wedding photographers in Princeton, NJ. Christina Keddie Photography is a photography company in Mercer County, New Jersey. Their service areas include the New Jersey, metro New York City, and metro Philadelphia areas. They specialize in wedding photography, event photography, and portrait photography. Their portrait session fee includes up to one hour of shooting on-location, pre-session consultation on outfits, locations, and the client’s vision for the session, custom editing of approximately 35-50 images, convenient and private online gallery to view the client’s proofs, and full set of high-resolution digital files on a custom USB drive. Christina Keddie Photography offers full-day wedding coverage and is available to travel worldwide for work. Christina Keddie Photography offers a complimentary engagement session. DiGiovanni Photography is a photography company in Kingston, New Jersey, founded in 2006 and offering photography services in New Jersey, New York City, and Philadelphia. Frank DiGiovanni has been a professional photographer for more than 20 years. His close proximity to New York City and Philadelphia allowed him to develop a passion for street photography, and he started spending 8 hours of his daily life studying his surroundings. Frank DiGiovanni integrated the beauty of the sun, shadows and infinite array of people, shapes, and color palettes in creating a piece of art. To this day, he employs the same fundamental skills he began with. His portfolio includes a range of natural to architectural perspectives and more avant-garde macro photography. DiGiovanni Photography specializes in weddings, portrait work, events, product work, commercial, Matterport 3D models, and real estate. Providing many photography service options to the residents of the New Jersey community, Jaye Kogut Photography is a professional studio that seeks to cater to clients of all varieties. The photography business offers services that demonstrate the owner’s devotion to aiding in the collection of a customer’s special life memories without compromising standards of excellence. Jaye Kogut Photography is maintained under the direction of one of the most dedicated, creative photography professionals in the industry who has years of experience. The photography company offers services including wedding, portrait, event, and family photography. Jaye Kogut Photography has developed throughout the years into a well-accredited business acknowledged by its past clients and competitors as being one of the leading photography service providers in its local area. Johns & Leena Photography, led by photographers and couple Johns and Leena, is a company located in Princeton, New Jersey that specializes in wedding photography. This company shoots weddings, engagements and family sessions all throughout the states of New Jersey, New York, and Pennsylvania. The services offered, besides wedding photography include engagement sessions, first look, boudoir photography, maternity, family, newborn and children’s photoshoots. They also design and create albums and canvas prints as per client requirements. Johns & Leena Photography is an expert in capturing the moments that its clients want to relive, producing crisp and classic images that make clients want to keep on coming back to look at the pictures, time and time again. Their style is unique with a flair for artistic excellence. This company's work is featured on theWeddingWire.com and TheKnot.com. Joie Elie Photography & Cinematography is a family owned photography and cinematography company in Somerset, New Jersey, founded in 2002. They specialize in wedding photography. Their photo and video styles include artistic, classic, documentary, lifestyle, and modern. The photo shoot types they offer include bridal portraits, day after session, and engagement. Joie Elie Photography & Cinematography has been 2013, 2014, 2015, 2016, and 2017 Pick for the Best of Weddings by The Knot. They have also received The Knot Best of Weddings Hall of Fame recognition. Joie Elie Photography & Cinematography has earned 5 stars on The Knot. Kacy Jahanbini Photography is a photography business in Princeton Junction, New Jersey, specializing in wedding and portrait photography. Their events photography includes corporate and weddings. Their portrait photography includes engagement as well as kids and families. Kacy Jahanbini Photography also offers x-personal photography. Photographer Kacy Jahanbini has turned her passion into a career, mashing together her work, ideas, inspirations, and other interests into the craft. Kacy Jahanbini Photography wants people who look at her pictures to take away something insightful from them. This photography business is ready to team up with their clients to create some killer pictures. Kacy Jahanbini Photography has 5-star reviews on their Facebook page. Yvette Kisling's Kisling Photography has served the area in and around Pennington, New Jersy since 2003. She specializes in photographing studio portraits, such as family photos and headshots, in addition to events like engagements and marriage ceremonies. 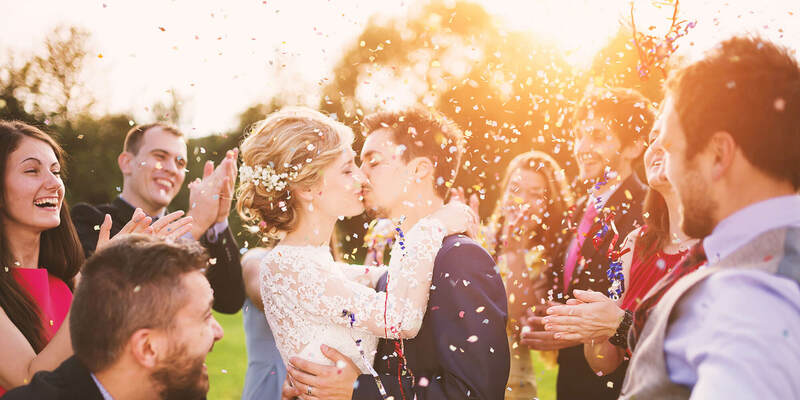 As a wedding photographer, Kisling acknowledges the faith clients put into her abilities and strives to go beyond their expectations: she works to capture the emotional sincerity of every moment she photographs. During her wedding photo shoots, Kisling works swiftly and discreetly to cause as little disruption as possible. Moreover, Kisling endeavors to document not only traditional images and poses but also the spontaneous, serendipitous moments no one expects. Based in New Jersey, Of Memories offers high-quality photography services at an affordable price for weddings, engagements, parties, events, and portraits. They specializing in coverage smaller events that require a personal touch. Photo packages are tailored to match each specific event and its budget. Clients say that this business creates beautiful photographs and is able to unobtrusively capture the best memories and moments from their events. They have a reputation for being prompt and professional. Clients can view the Of Memories gallery on their website as well as on Facebook. They can fill out a convenient online form to request a consultation. Photo Creations by Cassie serves East Windsor Township, New Jersey, providing expert photography services. Cassie, the owner and primary photographer at Photo Creations by Cassie, specializes in turning cherished moments into lasting memories. She offers action, event, family, maternity, newborn, pet, high-school senior, and wedding photography as well as portraiture for children, couples, and families. Cassie is committed to helping her clients capture important moments in vibrant photographs. Clients speak highly of the professional interaction and clear communication. They were especially pleased with Cassie's talent, personability, and affordability, and they enjoyed the variety and quality of the final photos.